South Texas College (STC) Theatre presents their musical production of the season, The 25th Annual Putnam County Spelling Bee with music and lyrics by William Finn, book by Rachel Sheinkin, and conceived by Rebecca Feldman. The production will run from Feb. 21-23 at 8 p.m., and will include a matinee at 2 p.m. on Feb. 24. 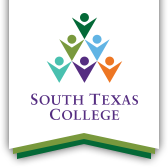 Performances will take place at STC’s Cooper Center for Communication Arts Main Stage Theatre located at 3201 W. Pecan Blvd. in McAllen. An eclectic group of six mid-pubescents vie for the spelling bee championship of a lifetime. While candidly disclosing hilarious and touching stories from their home lives, the tweens spell their way through a series of words, hoping never to hear the soul-crushing, pout-inducing, life un-affirming “ding” of the bell that signals a spelling mistake. Six spellers enter, one speller leaves! General admission tickets cost $10. Student, faculty, military, and senior citizen are $5. The musical contains mature subject matter and may not be suitable for all audiences. Ticket sales from the Feb. 21 production will go towards the Dr. John F. Carroll Drama Scholarship. The Feb. 24 matinee production will be interpreted in American Sign Language. Ticket cash purchases can be purchased one hour before the performance at the box office, or in advance online using a credit or debit card at https://secure.touchnet.com/C20193_ustores/web/store_main.jsp?STOREID=13 . For additional information about the show, or for group rates, call 956-872-2301 or email drodri72@southtexascollege.edu or jrodriguez@southtexascollege.edu.